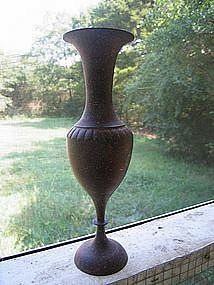 I am not sure of the age of this vase, or what the composition of the metal it is made from. It is 9 3/4 inches in height. Additional photos by email. I need your zip code to calculate the postage.